Paola (P.J.) Corso is a community activist and an award-winning author of seven books of fiction and poetry set in her native Pittsburgh where her Italian immigrant grandfather and father worked in a steel mill. Her most recent poetry books are The Laundress Catches Her Breath (CavanKerry Press, 2012), winner of the Tillie Olsen Creative Writing Award, and Once I Was Told the Air Was Not for Breathing  (University of Wisconsin–Madison’s Parallel Press, 2012). She is the author of a novel in stories, Catina’s Haircut (University of Wisconsin Press, 2010), a Sons of Italy National Book Club Selection included on Family Tree Magazine’s “Recommended Genealogy Reading List.” Corso’s short story collection Giovanna’s 86 Circles (University of Wisconsin Press, 2005, 2007) is a John Gardner Fiction Book Award Finalist and on the Pennsylvania School Librarian Association’s “Top 40 Young Adult Fiction Titles List.” Her other poetry collections are Death by Renaissance  (Bottom Dog Press, 2004) and A Proper Burial  (Pudding House, 2003). 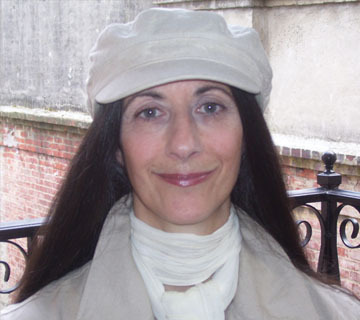 Her unpublished poetry collection Oxygen for Two was a first runner-up in the Bordighera Poetry Prize judged by Donna Masini. She is co-editor along with Dr. Nandita Ghosh of Politics of Water: A Confluence of Women’s Voices  (International Feminist Journal of Politics, Routledge Press, 2007). Among her other publication credits are The New York Times, Christian Science Monitor, The Progressive, Women’s Review of Books, Writer’s Digest, The Writer, USA Today, U.S. Catholic, and Editor & Publisher. Corso’s work has appeared in numerous anthologies, including New Hunger for Old: 100 Years of Italian American Poetry, Days I Moved Through Ordinary Sound: The Teachers of WritersCorps in Poetry and Prose, Wild Dreams: The Best of Italian Americana, The Best Travel Writing of 2006, Getting By: Narratives of Working Lives, and Sudden Stories. Honors include a New York Foundation for the Arts Poetry Fellowship, a Sherwood Anderson Fiction Award, The Jerome Lowell Dejur Award for Creative Writing and The Stark Short Fiction Prize, both from City College of New York, inclusion on Pennsylvania Center for the Book’s Literary Map, a Pennsylvania Council on the Arts artist grant, and a Poets Out Loud Finals Judge. She has read her work at venues across the country such as American Labor Museum, Carnegie Library of Pittsburgh, Calandra Institute for Italian American Studies, New York University’s Casa Italiana, New York Public Library, Northeastern University, Montclair State University, Oregon State University’s Water Institute, Poetry Project at St. Mark’s Church, PEN American Writing Institute, Penn State University, State University of New York, and University of Pittsburgh. She has presented workshops and participated in panel discussions at conferences of Associated Writing Programs, Center for Working Class Studies, Italian American Studies Association, Keystone State Reading Association, Pennsylvania Council for the Teachers of English, and New Jersey Library Association. Corso has taught writing in the community with the National Endowment for the Arts WritersCorps administered by the Bronx Council on the Arts, the National Writers Union New York Local, and at the university level as a writer-in-residence in Western Connecticut State University’s Low-Residency MFA Program in Creative and Professional Writing and as a lecturer in Chatham University’s MFA Program. She is co-founder and resident artist for Steppin Stanzas, a grant-funded performing arts project celebrating Pittsburgh city steps. She curates an annual poetry event for The Thomas Merton Center for Peace and Social Justice, writes a “Greening Your Bookshelf” column for Group Against Smog and Pollution, and “Authors in the Community” for CavanKerry Press. Her community service has earned her a place on the Mid-Atlantic Arts Foundation Artist & Communities Short List. Corso earned her bachelor’s degree from Boston College, master’s degrees in creative writing from The City College of New York–City University of New York and in public administration/community organizing from San Francisco State University. She is a graduate of the University of Denver’s Publishing Institute. She splits her time between New York City and Pittsburgh.